Arrival at Cairo airport meet & assist by our representative. Long session meditation in The Great Pyramid , hydrotherapy treatments at spa and opportunity to buy the original Lotus perfumes, which was dressed by the ancient Egyptians. Early morning after breakfast, drive from Cairo to Sarabit El Khadem one of the places in the desert where the Pharaohs were mining turquoise., via the Suez Canal tunnel, stopping at Hammam pharaoh (Pharaoh `s bath, Sulphur Springs) then visit The Temple of Hathor (the Goddess of love and joy). Lunch on route. Continue Saint Catherine. Overnight is in Saint Catherine. Breakfast is at your hotel. Early morning trek to reach the amazing Sunrise on Moses Mountain. Visit St. Catherine Monastery, at midnight climbing the Mount Moses and witnessing the breathtaking sunrise from the top. All your days in Dahab have a dynamic flow Yoga, powerful breathing, Meditation and evenings filled with laughter and dancing. A wonderful experience and a memorable holiday. Dahab itself has grown out of a seventies resort and has managed to keep its bohemian atmosphere. It is excellent for snorkeling, diving, windsurfing and camel trekking, or for just "chilling out". There will usually be two yoga classes per day (one day free) with meditation often included. • go horseback riding in the deserts and mountains on well cared for Arabian horses. Breakfast is at your Hotel. Drive back to Cairo. Transfer to your Hotel. - 2 nights Hotel accommodation in Saint Catherine. - 4 nights Hotel accommodation in Dahab. 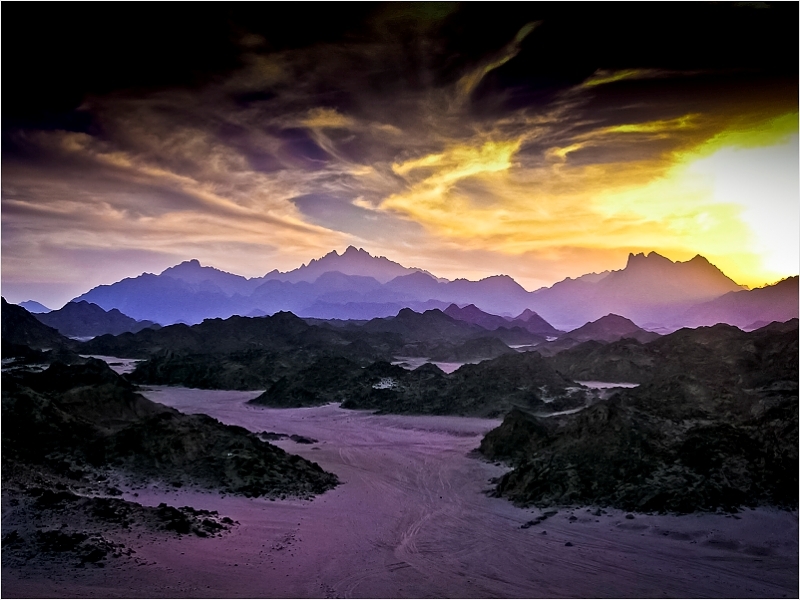 - All transfers in Sinai, Dahab and Saint Catherine.